Try your hand at Japanese paper-folding! 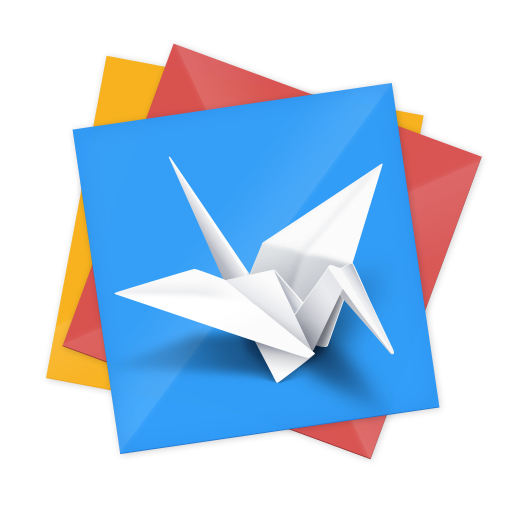 Join us in the Puett Room Sunday, February 1 from 1:30-2:30 p.m. Members of Tigard High School's Japanese National Honor Society will show you how to make simple, fun origami pieces. Ages 5 and up. 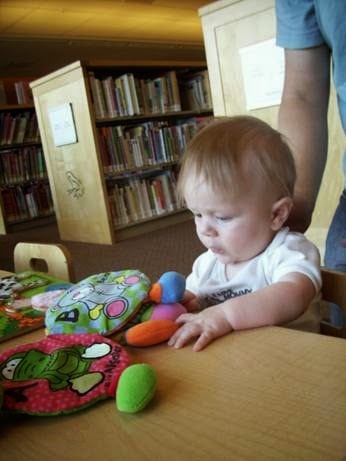 There is still time to register for the early literacy workshop from 6:30 to 8:30 on February 2, but not much. Call 503-718-2673 now if you are interested in attending, and don't forget to get a babysitter, because this is a grown-ups only kind of night. I will make an exception for non-mobile babies. It's OK to make mistakes. We're all human. But sometimes it's hard to accept that you made a mistake and learn from it. 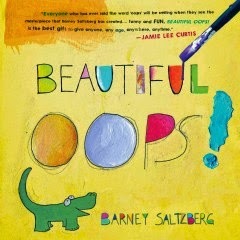 So if your youngster is having a hard time accepting mistakes, how about a little bit of biliotheraphy and trying out some of these books listed below. 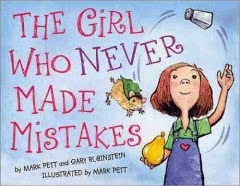 They'll provide easy ways to learn from mistakes and help the reader become a better person! There are many ways that a torn, crinkled, and smudged bits of paper can be transformed into various shapes and images, and can evolve into something beautiful! Beatrice is so well-known for never making a mistake that she is greeted each morning by fans and reporters. But a near-error on the day of the school talent show could change everything. Here a series of situations are presented in such a way that taking chances and trying new things can lead to good results, even if there are mistakes along the way. 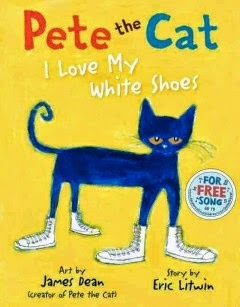 As he walks down the street, Pete the cat sings about his brand new shoes as they transform from being a bright clean white to dirty, wet, and not-so new. Bricks can make blocks and blocks can make worlds. Join us in the Puett Room Sunday, January 25 from 1:30-3:00 for a world of fun! Use your creativity to build a place of your own with kids like you who love to play with Lego® bricks. I'm not to afraid to admit that when I was a kid and Underoos were out on the market, I just had to have a pair. Then when I got some, I absolutely LOVED them! They were fun to wear and a ton of fun to play in too! 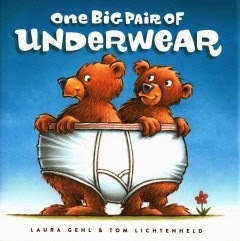 It's too bad I don't have them anymore, however, now there's a bunch of fun underwear books to read! 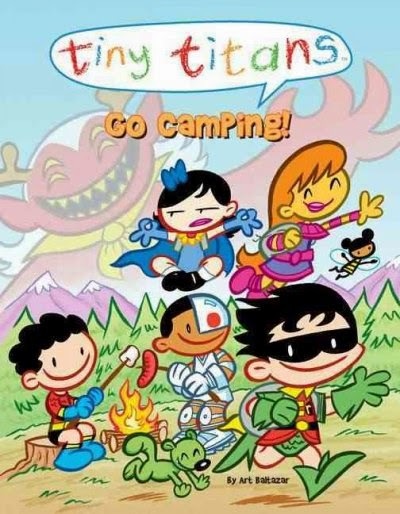 It's not just all about Captain Underpants. 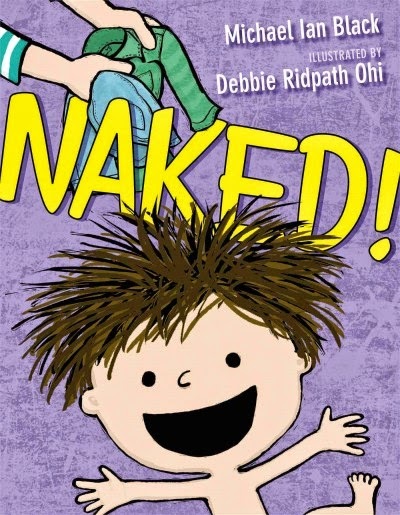 There's plenty of picture books available for the youngest underpants wearing fan to have a good laugh...because the thought of undergarments in a book is literally the funniest thing ever. While playing hide-and-seek, Bear finds a backpack filled with underwear. A story in rhyme reveals that the "Mighty Underpants War" was the true reason why dinosaurs are extinct. Someone stole frog's underpants! Luckily, his jungle friends are willing to help him find them. Join the Pants Pirates on a special treasure hunt. Sail on the Pirate Ship Black Bloomer past angry crocs, sharks in fancy pants and through gurgling swamps on a quest to find the "Pants of Gold"! Lily loves to show off her fancy pink underpants, but her older sister Marigold tells her she is not allowed to anymore. 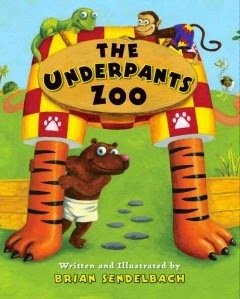 Visit a new zoo, where each of the animals sports underwear suited to his or her own personal style. An important compilation of do's and dont's when it comes to your underwear. 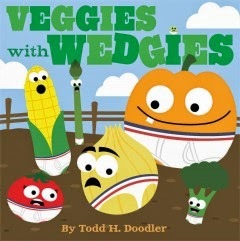 The vegetables in Farmer John's garden are intrigued when he hangs his underwear out to dry. But when Corn, Potato, Beet, and the others pull things off the line and try them on, they discover that they are not comfortable at all. 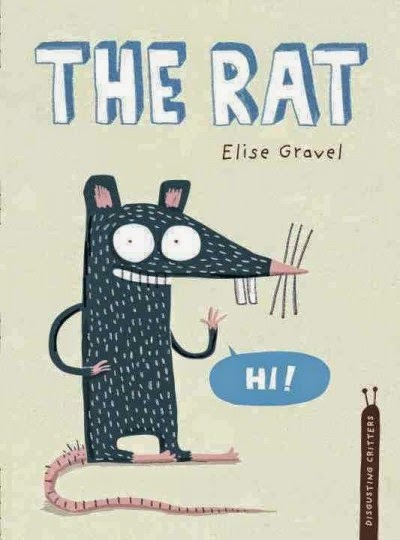 Are you looking for a charming and funny non-fiction picture book about...um...disgusting critters? Well, they're only disgusting because of their bad reputation, because these guys are important! 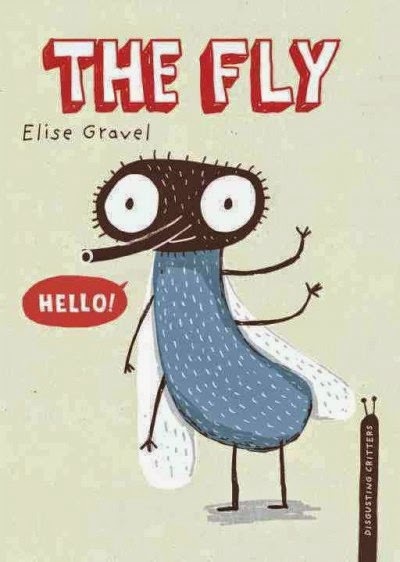 Find out why when you read Elise Gravel's Disgusting Critters series. 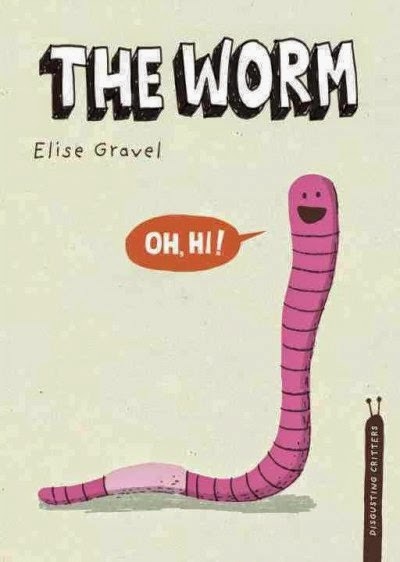 While reading aout The Worm, I learned that there is a worm that can grow to be over 98 feet long! It's called the Ribbon Worm. Take a tape measure out and mark off 98 feet! How many inches is that? How many centimeters does that equal. How many meters is 98 feet? You can let us know what your results were by leaving a comment. 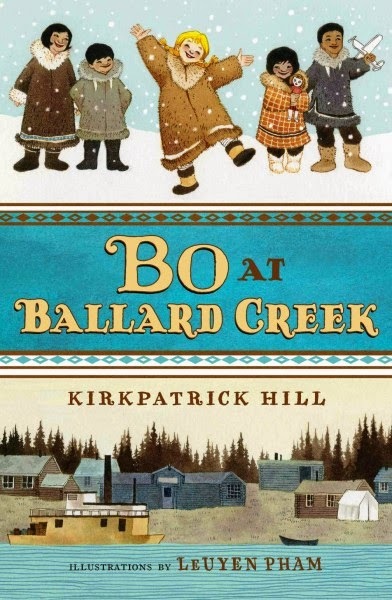 I just want to give a shout out to Kirkpatrick Hill for Bo at Ballard Creek and Bo at Iditarod Creek. 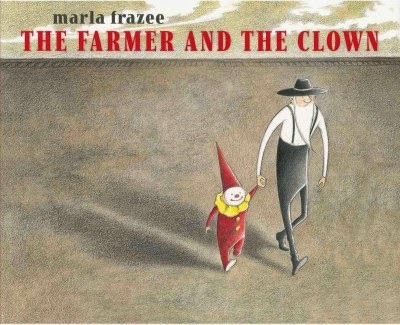 These are great books about a little girl named Bo whose two papas are gold miners. Mean Milly, who didn't want the job of mama, thrust little newborn Bo into Arvid's arms and got on a boat and left town. When Jack could see that Arvid didn't know the first thing about babies, he decided to help out. So what could the two of them do but raise her? So Bo grew up with two papas and no mama in a village of Eskimo friends. And then along came Graf. Graf had lost his mama and papa, so what else could they do but raise him, too? 'Bout this time, the mining dried up, so they all loaded up and rode down some rivers to Iditarod Creek. This crazy town looked like someone just plopped a bunch of houses down by a bunch of big piles of gravel. And in fact, that's exactly what they had done. Each time they needed to dig for more gold, they just towed a house out of the way with a big ol' Caterpillar tractor! 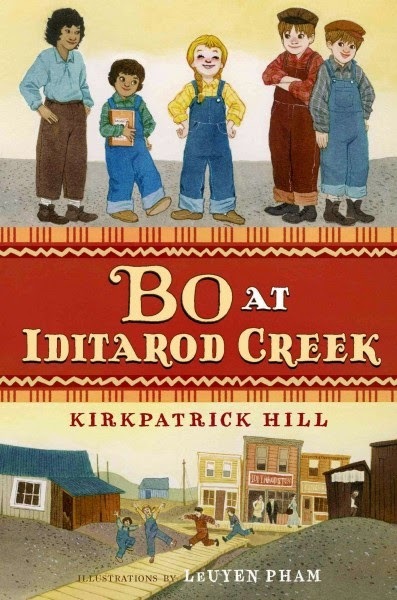 And Iditarod Creek didn't have many kids like home in Ballard. So this town took some getting used to for Bo and Graf. If the books follow any sort of pattern, I have a feeling the next one will be Bo at Mammoth Creek. I can't wait for it to come out! And now for my just-turned-7-year-old's current favorites! I just realized I can no longer label this post as Ages 0-6! Where does the time go? If you have been paying close attention, you may notice some overlap between Evan and Coby's most recent favorites. 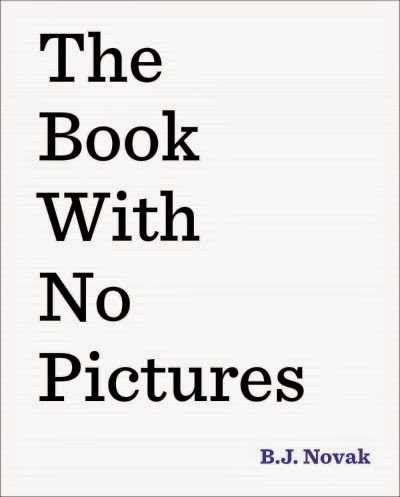 You can still read picture books to your chapter book-reading 7-year-old; at least I do. And they might just catch nuances now that they never would have caught when they were younger. Every one's favorite herpetologist, The Reptile Man is coming back to the library for another annual show! 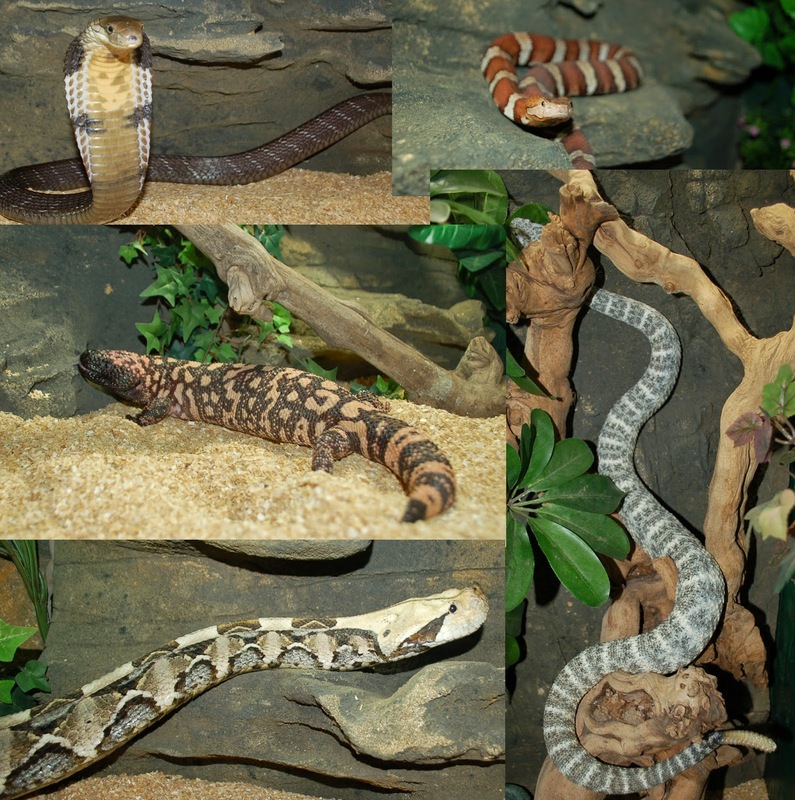 Come see live reptiles as The Reptile Man educates and entertains on Tuesday January 13th at 6:30 p.m. It's all happening in the Burgess Community Room and children ages 5 and up are invited to attend! Join us for the College Football Playoff National Championship! Monday, January 12, 5-9 p.m.
Watch the Oregon Ducks take on the Ohio State Buckeyes for the championship in a family-friendly, alcohol-free environment. We’ll show the game on the library’s big screen and provide light snacks and soft drinks. Kick-off is at 5:30 pm and we’ll keep the party going until the game ends or the library closes at 9 p.m. – whichever comes first! Here are some of my 3 1/2-year-old's current favorites. Sorry it's been so long since my last Coby's Picks post! Do you have kids under 6? Would you like to help prepare them to read? Then leave the kids with a babysitter on Monday, February 2 and join me from 6:30 to 8:30 in the Puett Room for a workshop on early literacy. 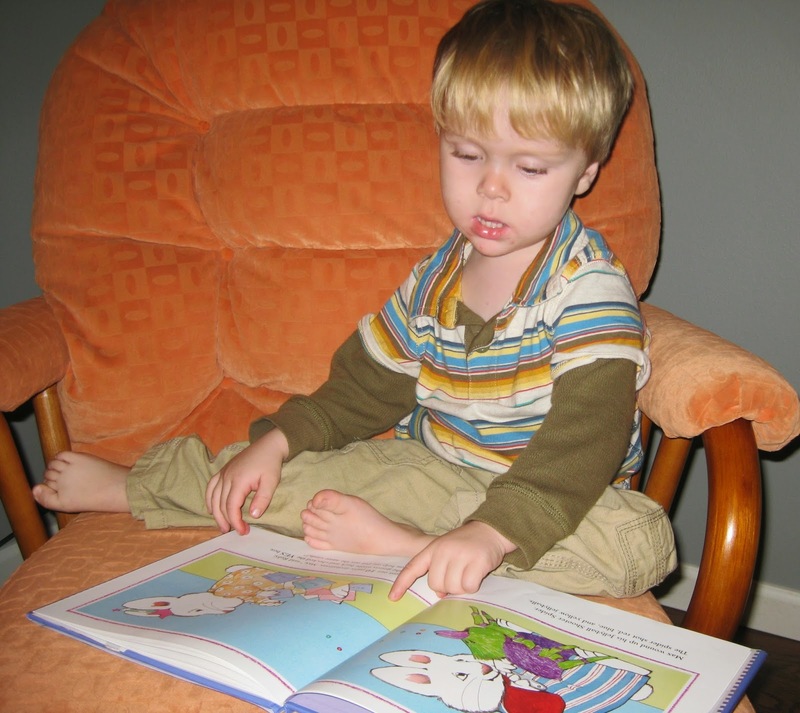 Early literacy does not mean that your young child should already be reading. In fact, I most certainly will not be teaching you how to teach your baby or your 2-year-old to read. Early literacy is the set of skills your children will need to develop in order to learn how to read once they are a little older. Call the Children's Desk at 503-718-2673 to register. Grown-ups only, please, but I will make an exception for babies that are not moving around on their own yet. 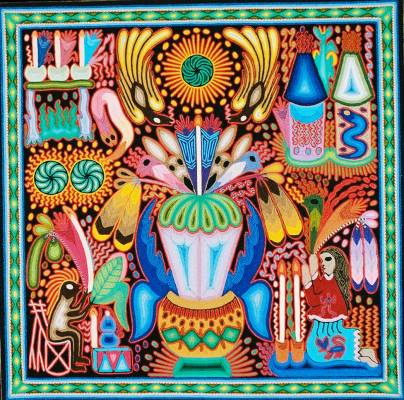 Join us Sunday, January 4 from 1:30 to 2:30 in the Puett Room to make your own yarn painting like the Huichol people of Northwest Mexico. This is one of my favorite programs, because it truly is entertaining and challenging for any age of person who participates. Little ones may glue on a piece of yarn or two, and older kids and grown-ups may cover the entire cardboard canvas with a picture made of yarn.